"In 1893 the company Allgemeine Gesellschaft fur Anilin Fabrikation, at Berlin (later called "Agfa") introduced the manufacture of dry plates...", (Eder, p._) making this company of approximately the same vintage as Eastman Kodak and Ilford. Agfa merged with a Belgium photographic company, Geveart, in 1964, which explains the hyphenated company name and the made in Belgium designation on the holography material boxes. Agfa announced that they were going to withdraw from the holography market place in 1997, with the final orders being filled in 1998, having supplied holographers with materials for approximately 3 decades. It could safely be said that the majority of holograms recorded on silver halide were made on Agfa products, mainly because of the longevity of their production, and lack of competitive products from the other manufacturers. Unfortunately Wikipedia is the best source of information on the history of the company as there are no lovingly compiled, substantive web sites like there are for Ilford or Kodak. They totally withdrew from the consumer photography market in 2004, but still do manufacture aerial reconnaissance films, which get repackaged under a variety of brand names for those still shooting film photographs! There is still a lot of this material unused in the field, and this page should help any holographers who come across a cache of this. Here are a variety of Agfa's leaflets and other communiques, pertaining to the Holotest line of products through the years. 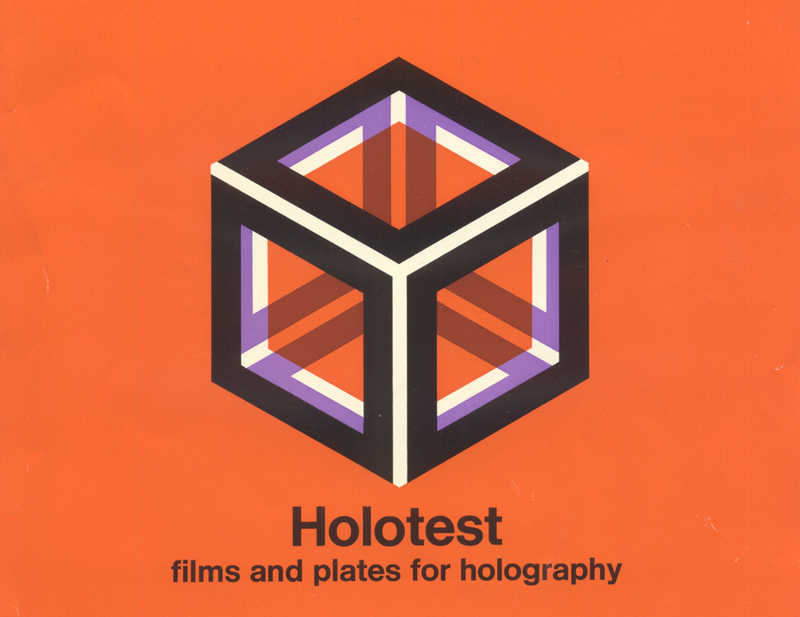 HOLOTEST FILM AND PLATES, Agfa Leaflet 21.7289, June 1977. PROCESSING SEQUENCE FOR HOLOTEST PHASE - HOLOGRAMS, Agfa Leaflet 2V0928, undated, but seems to fit between these two. PROCESSING FOR WHITE LIGHT HOLOGRAPHY, Agfa Technical Bulletin, July 27th, 1979. PROCESSING OF HOLOTEST PLATES AND FILM, Agfa Leaflet 21.7272, October 1979. NDT/HOLOGRAPHY, Agfa Leaflet 21.7280, April 1981. HOLOTEST AND SCIENTIA EMULSIONS, Agfa Leaflet 21.7282, April 1981. Private Communication from R. DeWinne, Holotest Product Manager, May 1981. PHOTOGRAPHIC MATERIALS FOR HOLOGRAPHY, Duncan Croucher, Proceedings of the First International Symposium on Display Holography, Lake Forest College, Tung Jeong Editor, July 1982. Excellent explanation and history of Agfa's efforts to that point in time. NDT/HOLOGRAPHY, Agfa Leaflet 21.7280, August 1983. NDT/HOLOGRAPHY, Agfa Leaflet 21.7271, May 1985. NDT/HOLOGRAPHY, Agfa Leaflet 21.7280, March 1988. PROCESSING MILLIMASK PLATES, Agfa Leaflet 5J00021, October 1992. PRICE LISTS: Agfa, June 1986; Cook & Weil, (same as previous except with C&W letterhead); Integraf, undated, possibly early 1990's. SCIENTIA FILM 42A56 P3 AH Agfa Leaflet 21.7285, September, 1979. "...especially designed for photomicrography..."
SPECTROGRAPHIC PLATES SCIENTIA 34B50 AH, 21.7284, May, 1981. A selection of Plate Boxes through the ages.